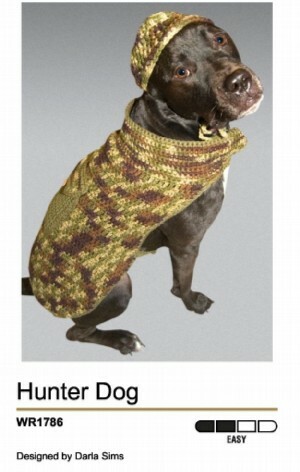 Here you will find free patterns for knitting and crochet for your pets. The links below will lead you to hand knitting, machine knitting, loom knitting and crochet patterns. Included but not limited to categories such as baby, pets, toys, gift sets and more. Some of these free patterns are on this site and some you will discover on other craft sites. All the patterns have one thing in common and that is to save you money. You will find wonderful ideas for baby showers, birthdays, Christmas and even sweaters to keep your pets warm in the cold winter. In todays difficult times we all need to budget. So here you can put your talent to work creating loving gifts and treasures for friends and family. There are so many different types of yarn, colors and textures to choose from! Wool, silk, cotton, mohair and more. Many knitters choose yarn and then try to find one for it. Others find patterns they like and use the pattern designers suggestions for yarn. JoAnns has just about everything you could want in supplies. It can be a challenging hobby by constantly attempting more and more difficult projects. Some cities have free learn-to-knit programs at libraries and churches. Most experienced knitters enjoy teaching their hobby and are always willing to help others. New friends are waiting to be made at knitting and/or crochet groups, guilds and societies.